The natural phenomenon of Indonesia always amazed people. With its many islands, Indoneisa has many beautiful beaches from west to east. One of them is pink beach. This pink beach comes from the sand grains of coral reefs that reflect the color pink. Pink beach is a beach that has the beauty of the sand that emits a beautiful pink color. 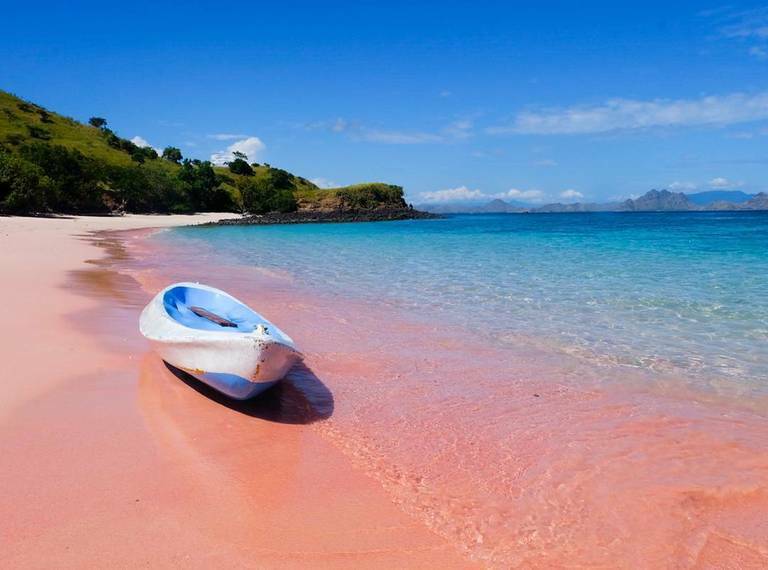 Here is a list of pink beaches in Indonesia. Go to Lombok, traveler should come to Tangsi beach. On this beach, the combination is amazing. Blue sea water blended with pink sandy beach, very perfect. This beach location is a bit far from the capital of Lombok, Mataram. Traveler must travel for 2.5 hours by land route. But all that will pay off when it reaches the beach location. As the name implies, this one beach you can go on the island of Komodo, Flores East Nusa Tenggara. It's around 30 minutes from Loh Liang. From Komodo National Park, traveler can choose packages provided by local residents who usually rent the boat. Pink beach pink color is very beautiful to look at. Want to relax, play water or explore the place around there will make you forget the time. 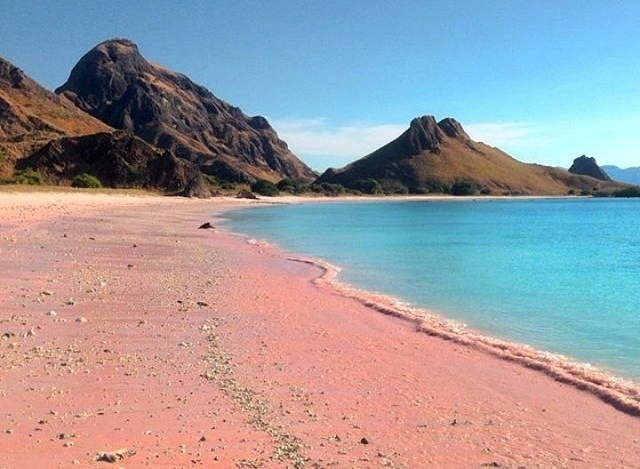 Other pink sandy beaches in Flores are Namong beach located in the south. This beach is still not widely known by many people. Traveler can freely enjoy the beauty of the beach with calm. Very calm wave conditions are not too big. 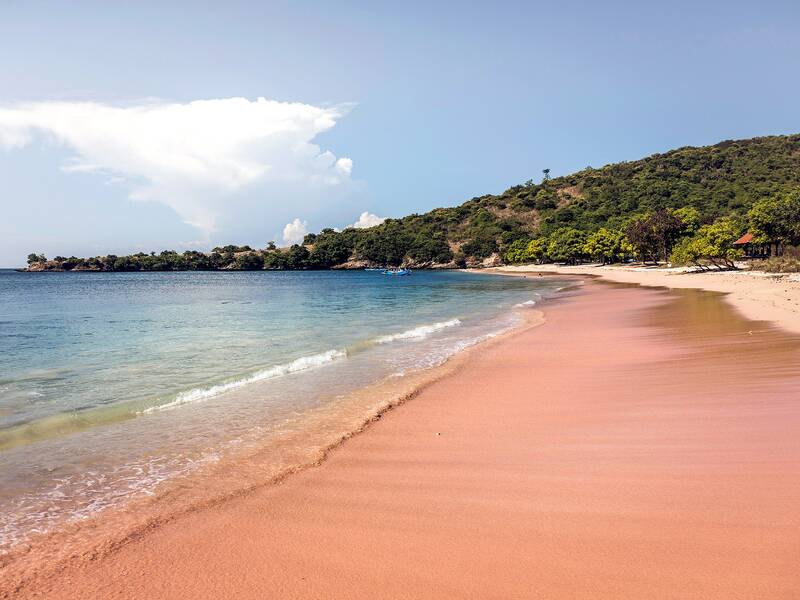 Pink sandy beaches are rarely found in the world. Indonesia is very fortunate to be blessed by these beautiful beaches that can become your family's tourist location.